You’ve read the brochure, visited the website before your arrival and now you’re finally here. After a brief overview of your resort you’re left alone in your villa. Another peak out at the view as you rub your eyes, maybe have a go on the coffee maker. Time to plan paradise. Flicking through the resort information, past restaurants and excursion information, you soon come to the glossary – an A to Z of your island, from air-conditioning to zumba. 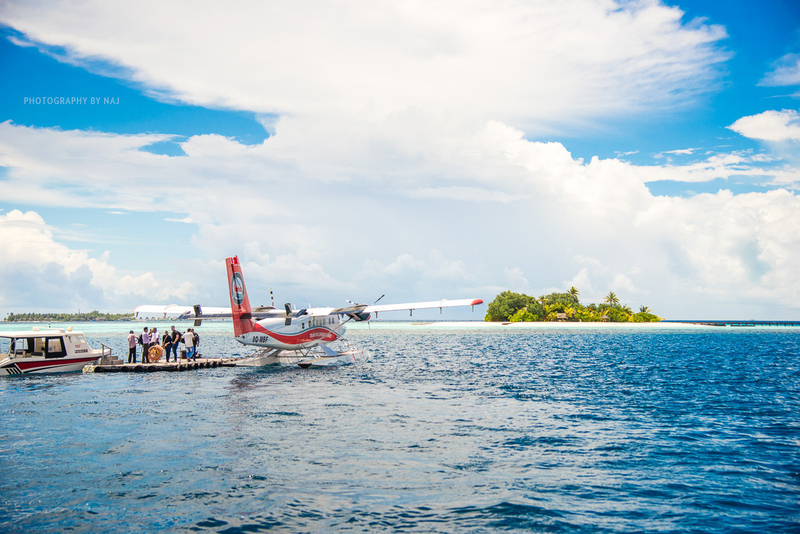 When staying on Maafushivaru, however, you should probably start with S.
Seaplane. Starting your trip from Ibrahim Nasir International Airport, it’s the perfect introduction to this ocean kingdom comprised of more than 99 percent water. Dropping gently down into the lagoon, you emerge onto a floating platform in the middle of a neigbourhood of islands, where the Maafushivaru dhoni arrives to collect you. Probably the world’s best transit lounge. Sharks. 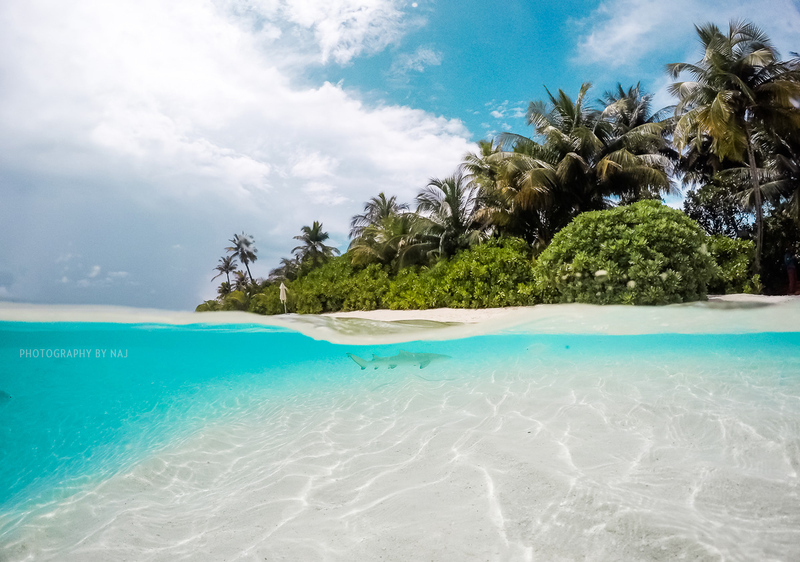 Normally saved at least until after you’ve unpacked, Maafushivaru’s resident reef sharks will welcome you as they patrol the shallows just off the beach, almost appearing to dance to the gentle music emanating from the speakers lining the pier. No need to worry about fumbling through your luggage to get a picture – they’re here all week. Simplicity. Situated on a small island – just 350 metres across – Maafushivaru retains the cosy feel of a tropical island you dreamt about. With 26 villas on the island, and a further 22 reaching out over the coral reef, you’re only ever a few footprints in the sand from your next pleasure. Sunset. Watching the sunset from the island is always spectacular, but taking a leisurely boat ride into the flaming finale of another day in paradise is different altogether. With sunset cruises (and sunset fishing) trips twice a week, this is an experience you won’t want to miss out on. 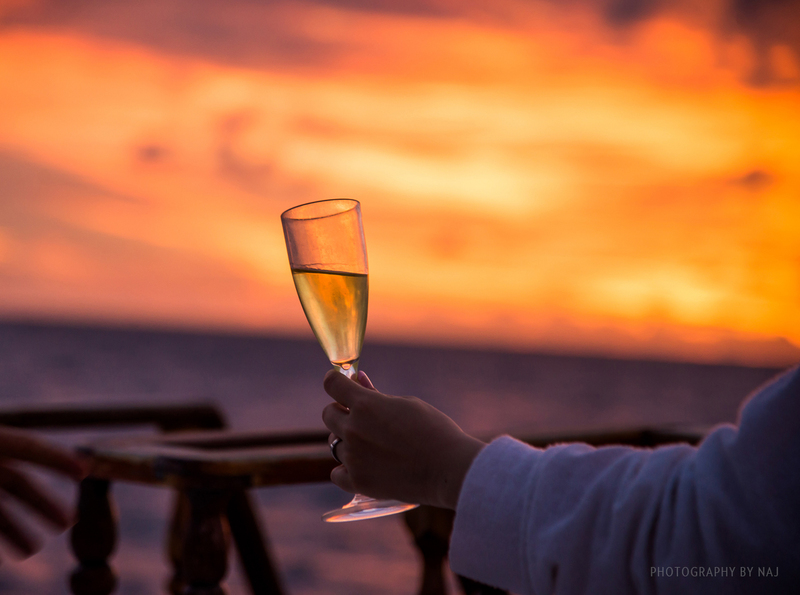 Sitting atop the dhoni, a glass in your hand as the panoramic pleasure of nature brings you that unfamiliar feeling of happy insignificance. Sauna. Just beating the last of the daylight back to the island, there’s still time to enjoy the complimentary sauna and jacuzzi at the over-water spa, just off the island’s generous main beach. The mosaic-tiled wet room and the wood panelled dry room will give you time to make dinner plans while your stresses melt away. Sashimi, Sushi, and a Show. 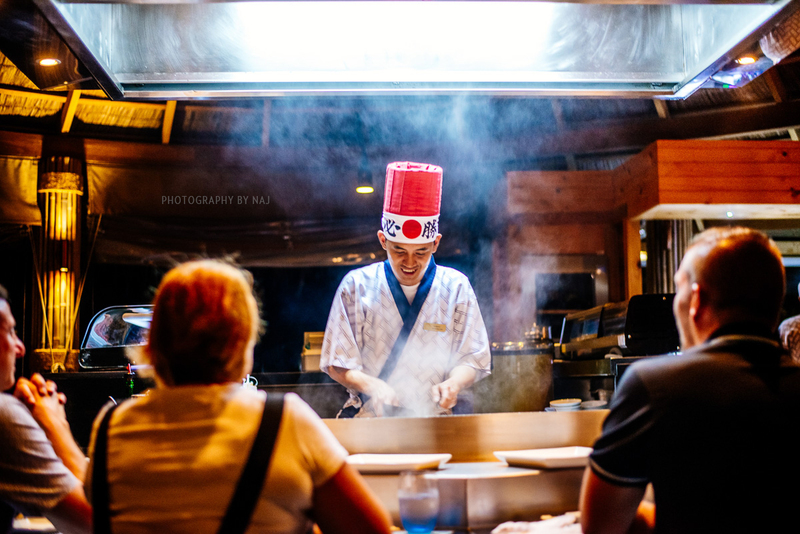 Maafushivaru’s 135° East restaurant takes the coordinates of the world’s first teppanyaki grill and transports them 62° west to an overwater pavillion over the Indian Ocean. Here, you can watch resident showman & chef Robert dazzle you with juggling utensils, spinning eggs, and flying omelettes – delivered into my mouth from 12 feet away (no exaggeration). Snorkeling off Lonubo (Photography: Naj). Snorkelling. As a small island, Maafushivaru has an accessible house reef, teeming with the Maldives’ most famous. Collecting your mask and fins, and with a nod to the reef sharks on the beach, you can soon be paddling alongside butterflyfish, groupers, and even turtles, just yards from your room. 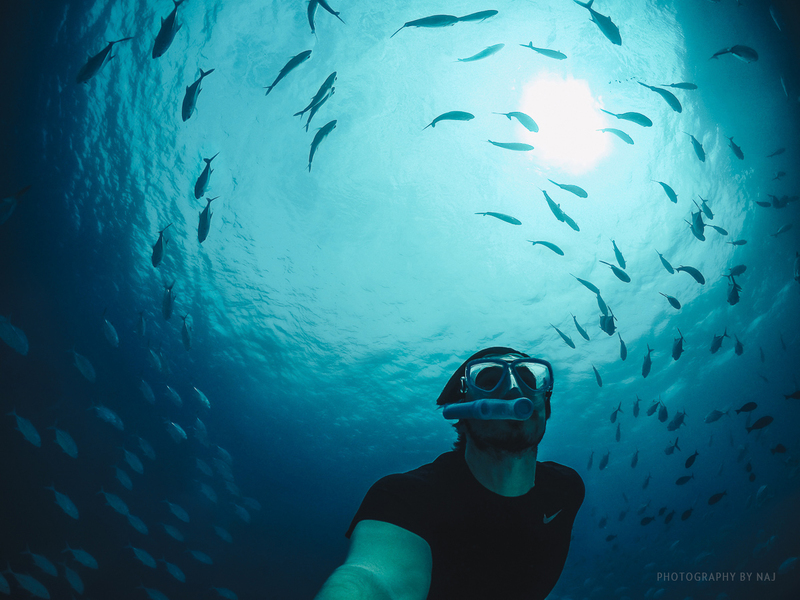 For those seeking bigger game, snorkelling excursions can take you out to the local manta point and whale shark sits on the ocean reef. Secret Island. Just moments away from the main island, Maafushivaru is complimented by its own little secret – Lonubo. This exclusive island – with just two villas, named after the Maldives’ answer to Romeo and Juliet – can be visited by any guest during the daytime, but at night is transformed into a private island for couples looking for that real desert island fantasy. Picnics, BBQs and private beach dining are available via a personal chef and waiting staff. 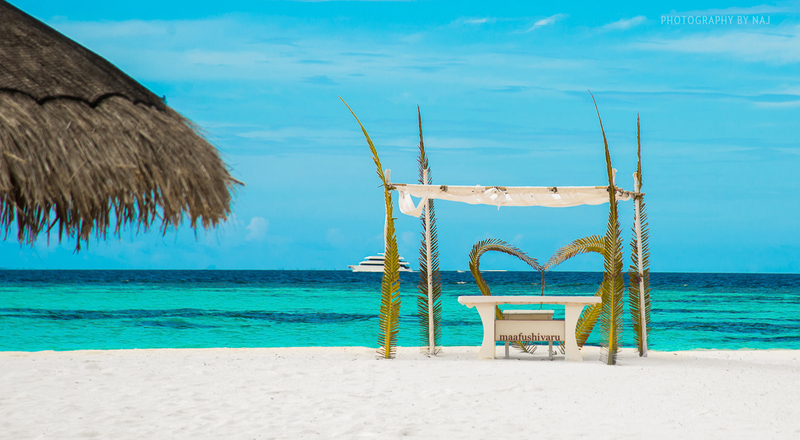 Couples can literally sleep on a bed under the stars on the beach, waking up to a champagne breakfast brought over from the main island. With all you’d expect from a well-established Maldivian resort, the alphabet of attractions at Maafushivaru are too numerous to list, and we didn’t even get to sun, sea, or sand which your hosts will ensure are the most significant share of your serene stay.